The website for this book includes the following statement: "Cold-Case Christianity will help you understand the power of circumstantial evidence, drawing on nearly 25 years of law enforcement experience (15 years spent working Cold Case Homicides). As a seasoned detective, J. Warner Wallace will share his personal journey from atheism to Christian certainty while describing the essential components of eyewitness reliability, abductive reasoning and the rules of evidence. You’ll come away with fresh insight and the ability to articulate what you already intuitively understand from your cultural familiarity with homicide investigations. You’ll also be able to apply this renewed understanding to the case for Christianity"
The “Knowing The Truth” Radio Program, originates in Greenville, SC on a 50,000 watt station covering all of South Carolina as well as parts of North Carolina, Tennessee and Georgia. The program airs live on Tuesday, Wednesday and Thursday from 11:00am – 12 noon EST on Christian Talk 660AM and 92.9FM. 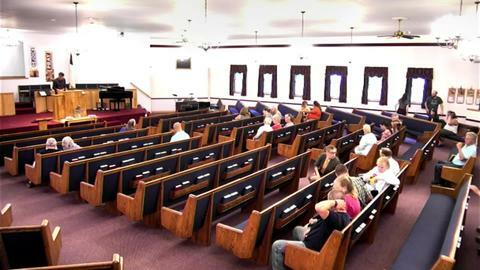 Additionally, the program is broadcast live nationally via video webcast on SermonAudio.com. The host, Pastor Kevin Boling, has conducted over 500 interviews with some of today’s foremost Christian authors and leaders. His guests have also included presidential candidates, ambassadors, senators, congressmen, governors and other political and social leaders. A Toll-Free Number (1.888.660.9535) is open during the program to take your questions or comments. Note: You can watch a live video webcast of the Knowing The Truth Radio right here on SermonAudio.com or in the SermonAudio Mobil Device App (download it for FREE in Apple App Store). Also a live audio only stream is available by going to www.ChristianTalk660.com and clicking on the Listen Live button.